Honour roll commemorates those who served in World War One. It lists 53 names. A function which promises to be one of the biggest of its kind in Launceston will take place at the Launceston State High School on Saturday night. 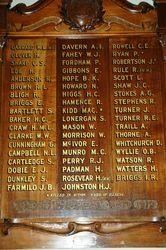 It is the of the unveiling of the honour board, containing the names of scholars, past and present, who have answered the Empire's call. 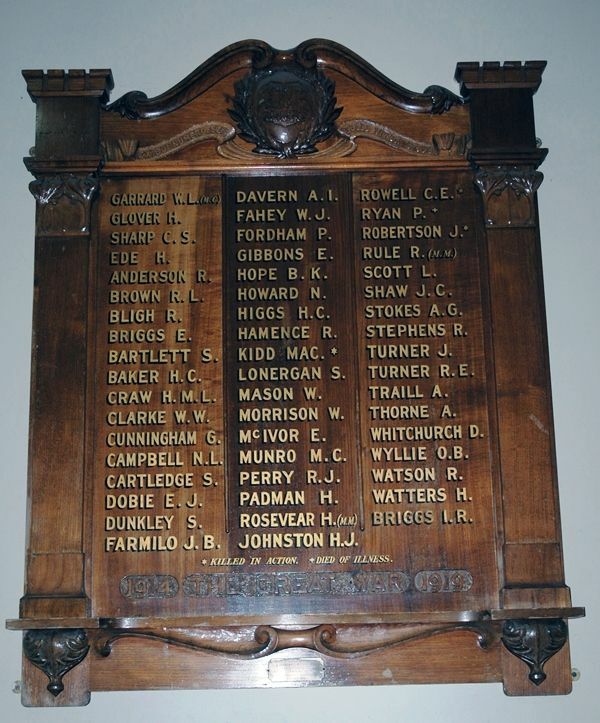 The board contains a list of 51 names, of which four have paid the supreme sacrifice. Out of 51, one obtained the Military Cross; two secured Military Medals, and another received the Flying Corps Medal for Distinguished Service. 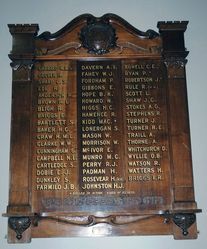 The board was donated by the old scholars of the school and the handsome carving was executed by Mrs R. H. Crawford. His Excellency Sir Francis Newdegate K.C.M.G.,will unveil the board and address those present. Examiner (Launceston) 27th March 1919.